I'm afforded the luxury of time to play around a little with my ipad pro. It’s fun but time consuming learning to use it to a level that I’m happy with. 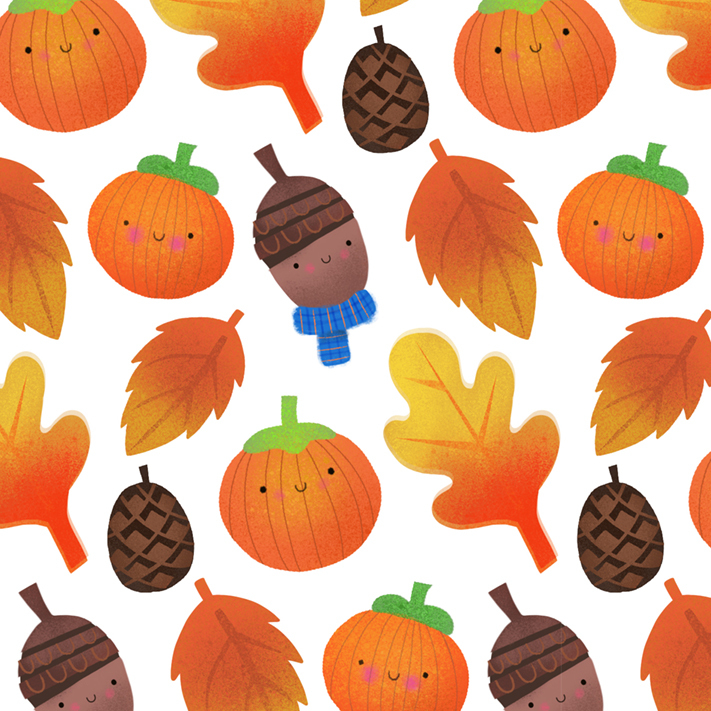 I was playing around with textures last night and made this autumn pattern just for fun. It’s not uniform in content or style but it’s all good practice! The monsters are part of a series I am working on through October and you can see them on my instagram. Enjoy October and all it’s fun and spooky festivities! Been a little quiet on here because work has been pretty hectic. Have a bit more time to do some self initiated work which is always nice. So here is a little farmer pig! Not been posting here for a while cos i've been pretty busy with work. Had a little time today to follow up on a doodle I did a little while back. Otters are so cute!!! !